SCHULTZ ® S712 is the synthetic heat transfer fluid with extremely good low temperature performance and can be used as both heating and cooling mediums in the temperature range of -85℃~230℃. It is certified by NSF as the food grade heat transfer fluid and especially up to the demands of low-toxicity and odorless operating conditions. SCHULTZ ® S712 is the same product as THERMINOL D12 and can be mixed together in any ratio. 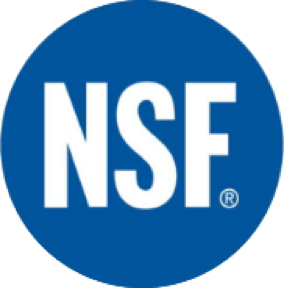 Food Grade Fluid –– SCHULTZ ® S712 is certified by NSF（National Sanitation Foundation）as the food grade fluid and especially used in non-toxicity and odorless occasions such as food processing and pharmaceutical manufacture. Good Low Temperature Flowability –– The superior low temperature flowability of SCHULTZ ®S712 makes it perform well in －85℃. Also, SCHULTZ ®S712 can be used as cooling medium. Low Viscosity –– SCHULTZ ®S712 can still be transferred by centrifugal pump when temperature is as low as －85℃. The low kinematic viscosity of SCHULTZ ®S712 in cold temperature makes it to be a perfect cooling medium.